WHEELS Parking Sensors have been almost essential to every car users, for those who are used to the product finds it indispensable and those not may find themselves installing a system soon. For OEM, we developed a system which does not require extensive wiring, almost like a plug and play matched with OEM’s car body paint. How it works is that the sensors will gauge the distance between the bumper and the wall, and the beep will get more intense as the distance shorten. Besides audio guidance, we too have visual aid components which entire range may not posted here. We too have Universal models, suitable for various cars and at an affordable price. We have developed Rain Sensor, but however have not received any enquiries to mass produce the product. We are keen to develop new products, hence should you have any project which you think may deploy the concept of parking sensors, please write to us. Find out more at our Design & Build column. Available in both front and rear parking sensors, 2 to 4 sensors depending on requirements. Audio parking aid- When the car get nearer to the obstacles, the signal will get more and more impressive. Optional “Visual parking aid” with an installation of camera and screen display available on quantity orders. 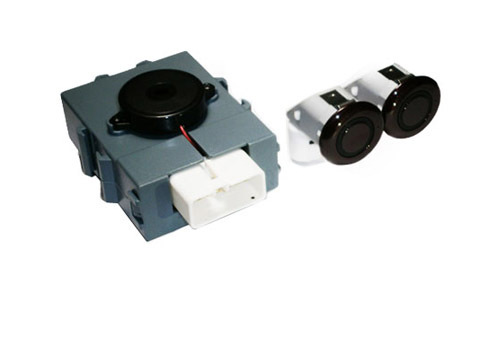 For OEM customers, we provide plug and play transducers, connectors-based wiring and painted transducers to match perfectly with the car body paint.